G.E. 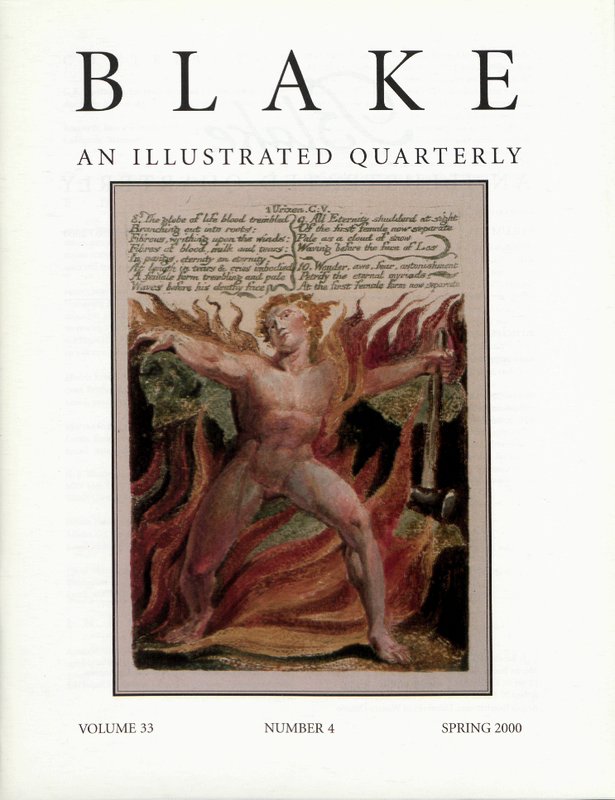 Bentley, Jr., has just completed The Stranger from Paradise in the Belly of the Beast: A Biography of William Blake. Cover: The First Book of Urizen, copy E, pl. 18. Photo courtesy of Sotheby’s New York.